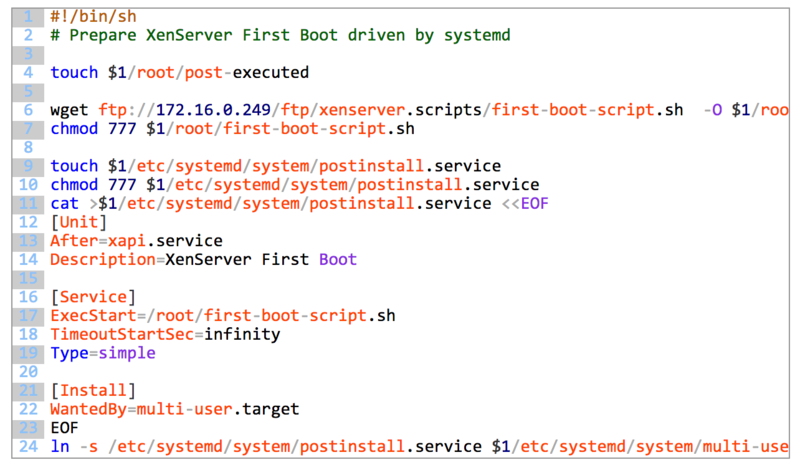 Citrix XenServer 7.x still supports the previous approach for Network Boot Installation of XenServer hosts that is based on PXE, TFTP, HTTP or NFS, and some post install shell scripting. However, if you adopt your existing XenServer 6.x deployment system you may face some challenges due to changes that I didn’t found explicitly mentioned in the installation guide. Given that you have experience with unattended XenServer 6.x deployments..